MOTEGI, Japan -- Stefan Sommer, CEO of German supplier ZF Friedrichshafen, says his company won't follow rivals in pushing for 10-speed transmissions. Automakers have been adding gears to their automatic transmissions in a bid to boost fuel economy. Ford and General Motors have unveiled plans to jointly develop 10-speed transmissions for use in cars, crossovers, pickups and SUVs. Volkswagen Group also has confirmed a move to 10 gears. 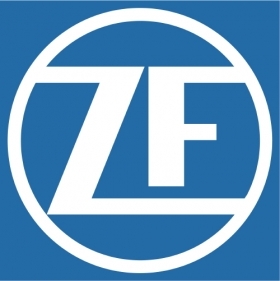 But Sommer said ZF's offerings will top off at nine speeds. The head of the company, one of the world's leading transmission suppliers, spoke this month at a Japanese racing event here, just north of Tokyo. Fuel efficiency, he said, is derived from the range of gear ratios covered, not simply by the number of gears. ZF's range is wide enough now that incremental gains are difficult. "We came to a limit where we couldn't gain any higher ratios. So the increase in fuel efficiency is very limited and almost eaten up by adding some weight and friction and even size of the transmission," Sommer said. "We will not go for 10."